We are very pleased to announce SIP Organic Infusions has arrived at our herb farm, home of Southern Light Herbs in Maldon, Central Victoria. 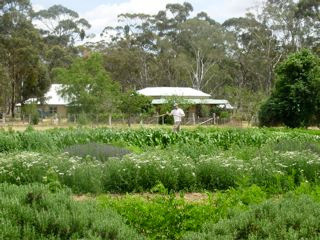 Over the last 18 years, Southern Light Herbs has worked to promote the growth of organic herb production in Australia. Today, supported by our wonderful network of over 40 dedicated growers, we grow, process and proudly distribute a diverse range of premium Australian quality organic teas, medicinal and culinary herbs to our loyal customers within the health food, wholefood and natural therapies sectors. Having admired and supplied herbs to SIP Organic Infusions from its very beginning, we now welcome the opportunity to take a role in its future journey. 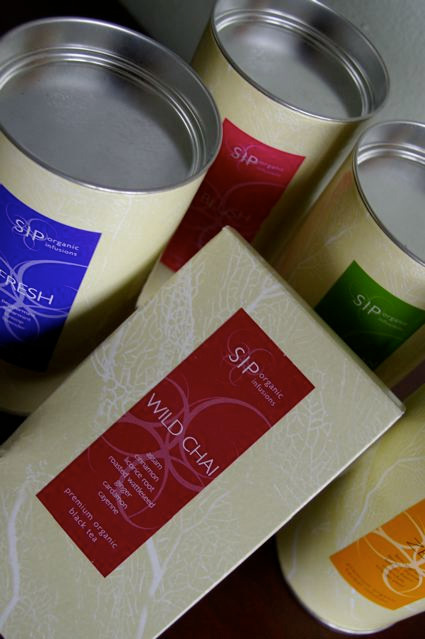 SIP’s unique blends, premium organic teas and elegant packaging focused on the the desires of Australia’s tea lovers, greatly compliments our current enterprise and shall provide further opportunities for Australian growers. We look forward to selecting the very finest of each season’s crop for inclusion in SIP’s products and hope you enjoy this freshness of colour, aroma and flavour. In addition to providing SIP’s current products, we have a number of our own delicious teas which we are keen to introduce to you a little later this year. So keep an eye on the website www.sipteas.com.au! On the practical side, we are ready to take your order today! So please feel free to call, email or fax us on the contact details listed below. Although our stock of canisters is quite low until the new shipment arrives, all teas are available in the lovely retail refill boxes and foodservice bags. Your support and patience during this transitional period would be greatly appreciated. We would like to take this opportunity to sincerely thank Melinda and Todd for their support and assistance and wish them all the very best in all their future endeavors. Do you realise how many people don’t actually know what tea is? It is the 2nd most drunk beverage in the world (after water) and the majority of people have no idea what it is, where it comes from or how it’s made (BEFORE you put it in your cup I mean). Well I’m about to clear all of that up for you. Here we go. Tea comes from a plant. The latin name of the plant is ‘Camellia Sinensis’, the common name is ‘Tea’. Any product that has the word ‘Tea’ on the front may not actually have ‘Tea’ in it. To check if it is ‘Tea’ or not – read the ingredients. If the word ‘Tea’ appears then there is ‘Tea’ in it! The word ‘Tea’ has evolved over time to cover any drink that is made from leaves and water. This is not correct however and has caused great confusion ever since the habit began. So how do you work it out? Well first of all – look at the ingredients. Then you can determine what kind of ‘Tea’ it is. Peppermint ‘Tea’ – made from peppermint leaves and water – is NOT TEA – it is a herbal infusion. These do not have ‘Tea’ in them – just herbs, fruits, flowers, spices. IF they have ‘Tea’ in them, THEN they can be called herbal tea. For example a Moroccan mint style tea with black tea and peppermint leaves in it, can certainly be called a herbal tea. ‘Tea’ is grown in many regions of the world, with India, Sri Lanka, China and Japan being the main cultivators. Tea originated in China, more than 5000 years ago and is said to have been discovered partly by accident. An emperor of the time had decreed that all drinking water be boiled for hygiene purposes. On his travels one day, he stopped to rest and a few leaves from a nearby bush floated into his cup. The leaves began to steep and turn the water brown. He being of scientific mind, tasted the water, found it to be very refreshing, and from that day on spread the word. Well that’s how the story goes anyway – believe what you will. ‘Tea’ is made from the leaves picked from the Camellia Sinensis plant. The flavour of the tea is determined by where it is grown, how it is cultivated and how the leaves are processed once they have been picked. Teas are classified by these methods also. A tea grown in Assam is called Assam tea, a tea grown in Formosa in Taiwan is called Formosan tea. The Darjeeling region in Northern India is at a higher elevation than the Assam region, thus the tea produced has a much lighter taste with floral characters. The Assam region produces a deeper tasting tea with a malt flavour, as the elevation is much lower than Darjeeling. Teas from different regions have been mixed together historically to make a lighter taste or a more robust taste – depending on what was preferred. The flavour of the leaves changes depending on the elevation it is grown at. This is how English breakfast tea came about, and Irish Breakfast tea. Leaves can be rolled into flat cylindrical shapes,(as the Japanese do) or small round balls, (as the Chinese do). Leaves can be dried and steamed (green tea) or dried steamed and left to ferment (black tea). They can have flavour added to them such as Bergamot essence to make Earl grey tea, or flowers that infuse their essential oils into the tea – such as Jasmine. The tips of the leaves alone can be used, as in white tea, and the way the leaf is cut determines the grade. Often you will see abbreviations on tea boxes such as FTGFOP1 or BOP1. This refers to parts of the leaf used and the way they were cut. FTGFOP1 for example means Finest Tippy Golden Flowery Orange Pekoe First Grade Leaves. This is mainly from Darjeeling, but also some parts of Assam. This is the finest top-grade production, made with special care, using a uniform leaf, and some leaf tips. The Darjeeling region is to tea what Champagne is to wine. Another example is BOP1 (Broken Orange Pekoe First Grade Leaves). Semi Leaf Tea. Specialty of “low districts” of Ceylon. Coarse, black-leaf tea, comprising roughly 40 % OP and 60 % Pekoe/BOP. So – to summarise. All tea comes from the one type of plant. The leaves get used. They can be dried, steamed, withered, fermented, rolled, pulverised, flattened, squashed. They can turn dark green, black or be white when the tips are used. They can be mixed together with other teas, flavoured with essences or mixed with flowers, fruits, spices, and herbs. They can be drunk with milk of any variety, with lemon, sugar, or honey. They can be drunk hot or cold, in a glass or a cup. Maybe even a mug. After almost 7 years in the tea biz, my best advice to all of you is…. READ THE INGREDIENTS. This will tell you all you need to know. If it’s a lemon and ginger tea and the ingredients state apple, blackberry and lots of numbers that don’t mean a thing to you – chances are there’s not a lot of lemon or ginger in the mix. If it says chamomile tea and the ingredients are chamomile flowers then you know it’s not a tea, and most importantly it’s caffeine free. You see ‘Tea’ has caffeine in it – but if a herbal ‘Tea’ has no ‘Tea’ in it then there is no caffeine. Confused – I hope not. If in doubt – stick to the familiar. Read the ingredients and only drink things you recognise. Otherwise how do you know what’s in your cup?